This is COLORCUBE. Over three months. Over 20,000 Command Blocks. Entirely new ways of doing things. Welcome to Musclecraft. WE'RE AVAILABLE ON MINECRAFT REALMS! 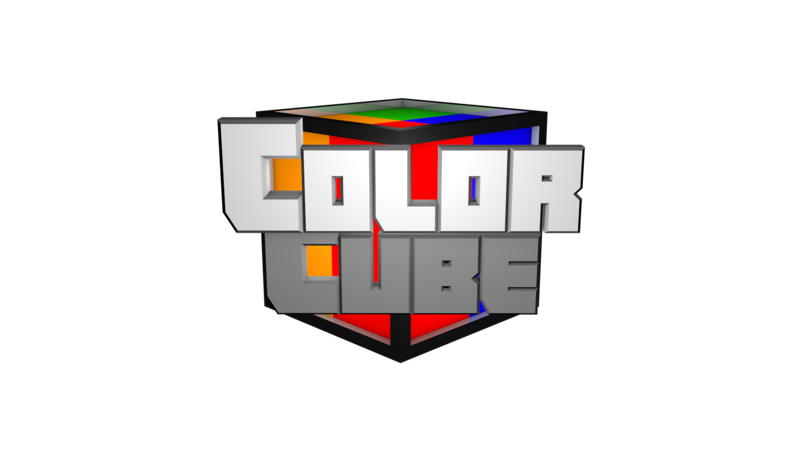 ColorCube requires Minecraft 1.8 or newer to play! COLORCUBE is all about territory control. to paint your way to victory! The team with the most colored blocks at the end of the time limit wins! 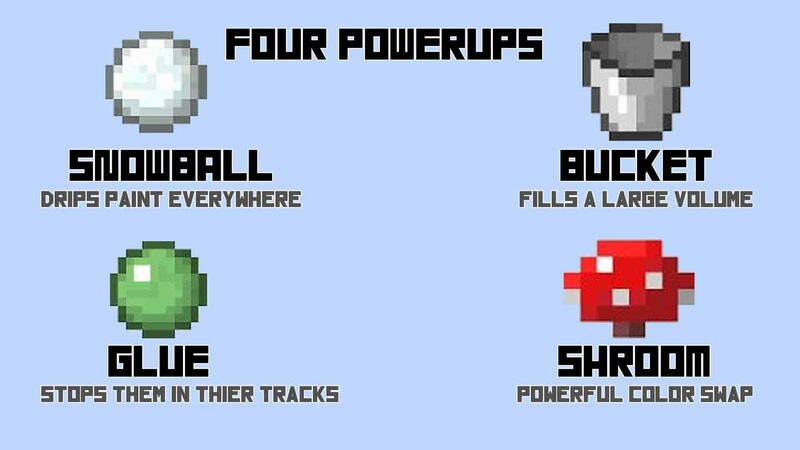 Run over POWERUPS to gain special abilities! Don't just watch the paint dry, POWERUPS spawn every 15 seconds! Finally, watch out for Mr. Happy!! Mr. Happy loses his cool when you step on his color. Which is black. Like the void. COLORCUBE supports anywhere from 2 to 20 players!! Playing in multiples of 4 is Highly Recommended. Have fun, and be sure to let us know what you think! We adore what you do. Feel free to record and play our stuff. All we ask is you link directly to our Minecraft Forums post. MUSCLECRAFT doesn't want its content re-hosted without our permission. If you advertise your server running COLOR CUBE, you must include a link to this forums post, as well as a link to the MUSCLECRAFT website. You may not offer MUSCLECRAFT maps or texture packs for sale or download. If you are running a server with COLOR CUBE on it you may not monetize COLOR CUBE in any fashion. This looks really well-made. I love this. I'm proud to be a part of this map. Maxsizeis and Nickflame20 put so much working into this, it makes my head spin. Thanks for playing! 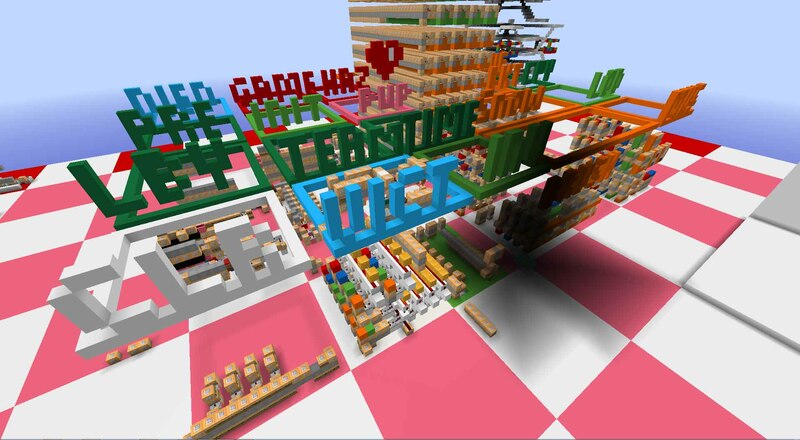 I really enjoyed making the minigame and hope to make more in the near future. Love it, glad to see people using my tellraw website for maps! Also, is there a reason you don't supply the resource pack on your servers? We don't supply the resource pack on our servers because there's a bug in the snapshots which prevent them from being automatic. It makes me sad. It' runs fine when it's unarchived, is it intentionally off? Great map, really fun stuff! Just played a couple hours worth of this game with three other friends on one of the promo servers. Lots of fun, lots of laughs, and a whole ton of raging involved! Totally recommend for everyone to try out! Looks like a really fun game type. Great work. Only in this snapshot so, it works fine on a 14w21b server. I played a bit with 3 other players. This is not a bad mini-game but not really fun IMO (maybe better with more people). Did you try to turn pvp off ? 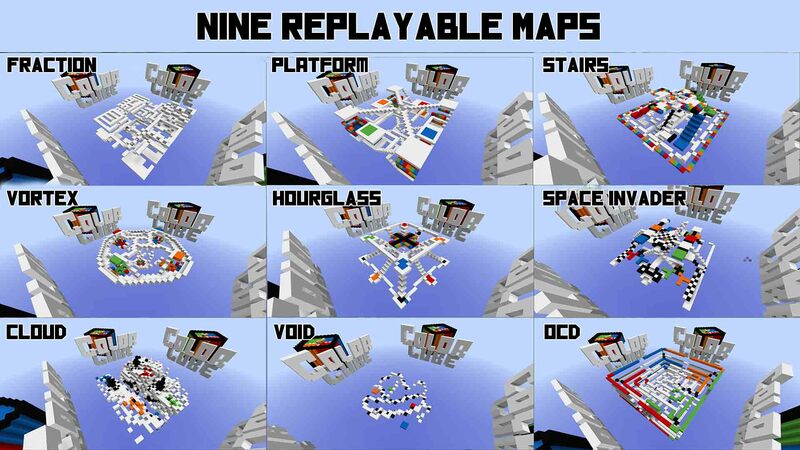 Or adding a way to get back faster on the map ? Well, I dunno what I did, but the server version now asks if you want to install the texture pack. Maybe there is hope. Pushed out a Hotfix for some issues on the server versions -- those of you affected by a subpar experience earlier, I apologize. We'll keep patching any holes that appear, just tell us about 'em! It depends on what map you are playing. Some play better with a small amount of players than others. Though, I agree, the more players the more fun it is. Keep in mind the servers we have running are just a place people could demo the map. In the full version you could choose teams and maps. That means, if you only have 4 people playing, you could pick one of the smaller maps (Void is my favorite) and maybe 2v2 instead of 1v1v1v1. Also, it plays a lot better when you are in voice chat with the other players (there's nothing better than hearing someone scream when Mr Happy decides to come out and play). Here's our video of the games. We all had an excellent time! I've been enjoying watching everyone's videos of playing Color Cube! In other news, we passed 300+ downloads early this morning! Thank you everyone for making this map release a great success! Thanks a lot Dainiuxs1999! Keep in mind, the servers are only for testing. Because this runs on the snapshots, it's hard to keep real public servers going (since it can't run inside something like Bukkit). Who wants to play on promo server #1?